you are a fan of Stelton and Swedish design (so are we). you are a fan of the Brita filtering system but not of the design of their jugs. you do not have a water filter jug yet and wish to invest straight away in a design classic that you can proudly exhibit on your table even during your gala dinners. Those of you who know about the brilliant Brita® system will not be confused, and the rest of you will quickly understand. 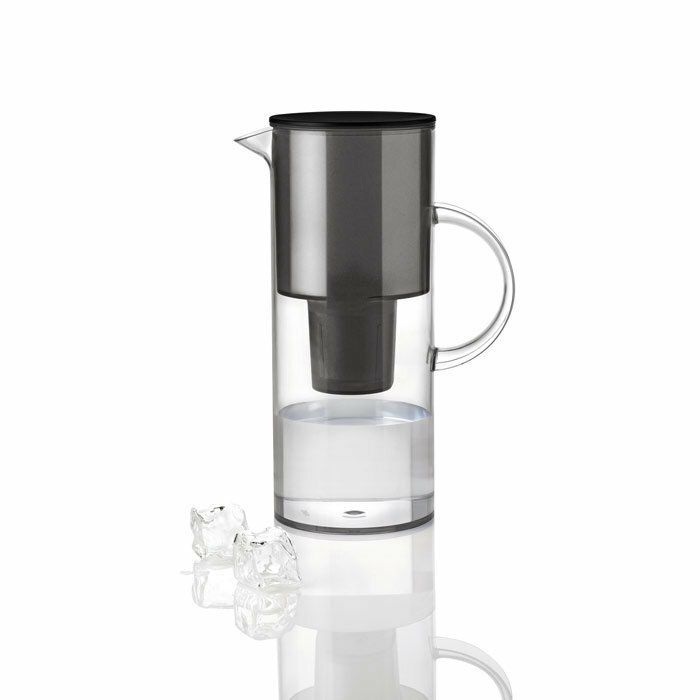 WHICH FILTERING CARTRIDGE FOR THE BRITA COMPATIBLE STELTON JUG? The Stelton water filter jug uses Brita Maxtra cartridges, very common model, available in supermarkets. pass through the filter 3 times the content of the jug to rinse it and eliminate any potential impurities. The jug is now operational. With an intensive use, a Classic Brita filter needs to be changed every 4 weeks (this represents 100 to 150 litres of water). you should regularly clean the jug that, as opposed to disposable plastic bottles, is used time and time again. The water filter jug considerably improves the consumption of tap water but it must be clean to avoid the development of bacteria. since filtering considerably reduces the content of chlorine in water (chlorine is added by the network managers precisely to avoid the development of bacteria and fungi), you need to place the jug in the fridge after use or ensure a sustained rate of consumption of water from the jug. WHAT DOES ONE DO WITH FILTERED WATER? The principle of water filtration was extended to our water jugs a few years ago: it was until then reserved for professional or domestic water installations to purify water and above all get rid of its limescale centrally. pre and post- filtration: mechanically retains particles from the network or the plumbing. IS FILTERED WATER MORE HEALTHY THAN TAP WATER? Tap water is perfectly healthy - at least in the European Union - and meets extremely strict standards from a sanitary point of view. Filtering water brings a real attractiveness, essentially for the improvement of taste and the anti limescale treatment. 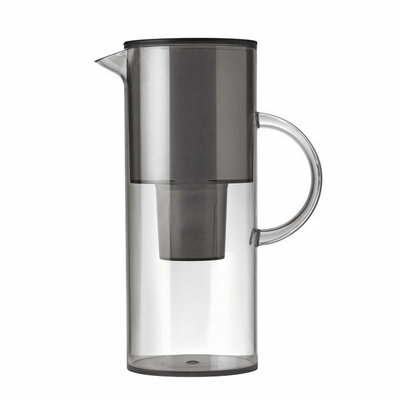 Having said that, a poorly maintained jug (water filter or not) will always be more favourable to the development of bacteria than water coming from the tap: beware therefore to maintain the water filter jug perfectly clean: regular cleaning, preferably by hand (acrylic goes in the dish washer, but the heat degrades its appearance) with washing up liquid is compulsory.